Bibliophile, musician, recipient of obscure book awards. Tell us a few words about yourself - whatever you want to share about your personal and professional life, but also why you decided to become a writer. 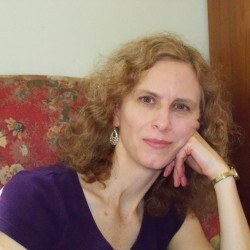 I’m a vocalist, music historian (historysingers.com), and piano teacher, and the latter vocation serendipitously led to my becoming an author. I was teaching at the Steckman Studio in Oak Park, IL, when I met Lisa Reardon, a parent who also happened to be an acquisitions editor for the Chicago Review Press. Lisa is no longer with CRP but her wonderful influence can be seen in all of my books. I first discovered my passion for putting pen to paper while in college. I started out as a history major with an English lit minor then switched halfway through. When I finally allowed myself the time to develop as a writer I wrote poems and essays for some quirky lit journals while reviewing history books and biographies for two review sites. Then I met Lisa. What inspired you to write about wars? It seems like such a difficult topic, even more so as you've written about many wars: World War I, World War II the Vietnam War ... what is it about the topic of war that interests you? I’ve been fascinated by World War II since I was a teenager when I watched a show called “World at War” with my WWII Army Air Corps vet dad. The Hiding Place came to theaters at that time as well and it left me with the following question: What sort of person would one have to be, what sort of character would one have to possess in order to defy a totalitarian regime? That question finally found an answer in my first book, Women Heroes of World War II. All the women featured there defied the Nazis to one extent or another. War brings out the best and the worst in people, which makes it such a fascinating study. But I’ve had specific additional reasons for writing all my books, generally because I want to wrap my brain around a specific war. Courageous Women of the Vietnam War came into being because although I lived through that war as a child I didn’t understand it. Young men in my family circle were going there, my friends and I all wore POW bracelets, but we were taught very little about it. Writing the introductory material vastly improved my grasp of the conflict and writing the narrative chapters allowed me a close-up view through the eyes of women who were there. Your books are listed as targeted at young adults, teens. Why did you choose this audience? When I first met Lisa, she wanted to launch a young adult series about historical women which is now CRP’s Women of Action series. So the audience was chosen for me. But as I began writing Women Heroes of World War II the audience I kept in mind was my 12 year-old self—an undermotivated student who loved to read. I was deliberately trying to reach young people who might not believe they like history but who might be enticed towards interest in a particular historical woman if the narrative was compelling. To understand what made that woman tick, one has to understand her setting and voila! The reader is learning history! What would you say sets your books apart as books for teens, as opposed to other history books for adults? What makes them different? How do you write to make sure you attract your readers' attention, and to ensure that they understand the points you would like to get across? I’m not really trying to make a point in my books. Aside from the introductory material, I’m merely trying to present history through the eyes of the women who experienced it. I strongly believe that we need to teach young people howto think, not what to think. We need more room for freedom of thought and differences of opinion in this country, on both sides of the political divide! It’s crucial to provide teens with an unbiased view of history for, as the saying goes, those who don’t learn history are doomed to repeat it. Do you travel to the places you write about in your books? Do you think this is a necessary element of the "job" for a non-fiction writer? I’ve been asked that question many times! One certainly needs to find a direct connection to history in order to write a good history book, but I believe I’ve managed to do that without traveling. For Courageous Women of the Vietnam War I found that connection through direct communication with the women themselves. One of them, US Army nurse Anne Koch Voigt, sent me a scrapbook filled with mementoes and photos from her year in Vietnam. It was a visual lightning bolt (and I believe her chapter contains the most photos and sidebars of any in the book! )For Women Heroes of World War I I accessed dozens of digitized memoirs and mined them for quotes. In doing this I felt I was giving a voice to these women who experienced war a century ago. It was almost as exciting as my experiences while working on the first book when I spoke on the phone with the following people: George J. Wittenstein, a personal friend of Sophie Scholl; Barbara Moorman, the daughter of Johtje Vos; Nelly Hewitt, daughter of Magda Trocme; Muriel Engelman, a US Army nurse who came under direct fire during the Battle of the Bulge; and Diet Eman. I also exchanged emails with Paul Elsinga, a man who knew Hannie Schaft when he was a boy. All electrifying experiences! Many of your books focus on women? Why did you make that choice when you set out to write your books? Again, that’s how I got started, but I’ve continued because I love to illuminate the stories of unsung heroes. There’s a reason we have Women’s History Month; most history, if studied in an overview sort of way, deals mainly with the efforts of men. Men’s stories are like the icebergs of history — their contributions are all that is visible after a particular period of time has passed, but there is so much more going on beneath the surface, so much history left behind. Women’s experiences and perspectives fill in all the blanks and make the picture complete. Have you read Svetlana Alexievich's book about the role of women in war? Did it inspire you in any way? I’m halfway finished and I absolutely love it. Again, there’s nothing like the testimony of people who lived through history to bring the reader directly into the past. And I was impressed at how the women interviewed for that book were so human and honest about how their femininity and relative youth intersected with the horrors of war. In that aspect, many of the stories sound similar, but because the women had different roles, The Unwomanly Face of Warhas significantly widened my understanding of the Eastern Front.